All our kits are preengineered by Northern Lights Solar Solutions. They are designed to provide your heating and domestic hot water energy needs. We provide a free simulation report, on software by Vela Solaris, which will predict the output to within 5%. 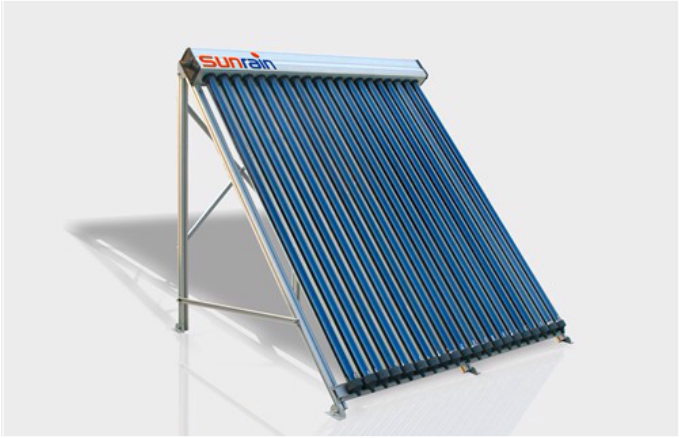 Our solar hot water systems are powered by Sunrain Evacuacted tubes. They are the highest rated evacuated tubes on the market. They can achieve temperatures between 300 and 400*F. and will operate even in cloudy weather. The ReSol controller is German made. ReSol controllers have been used in millions of solar heating applications and have a proven track record. Each package comes complete with all the components you will need to finish the job. We can customize each package to provide all your domestic hot water , space heating, and pool or hot tub heating needs. All the components are top quality and reliable. It comes with full technical support for the life of the product. Complete solar heating packages for domestic hot water , space heating, pool and hot tub heating. They are a " Do it yourself " and save solution. Each kit contains everything you'll need to get started. They are simple to install and will lower your heating and domestic hot water costs drastically. Your return on investment will be even faster when you combine the solar heat in the summer for a pool or hot tub heating. 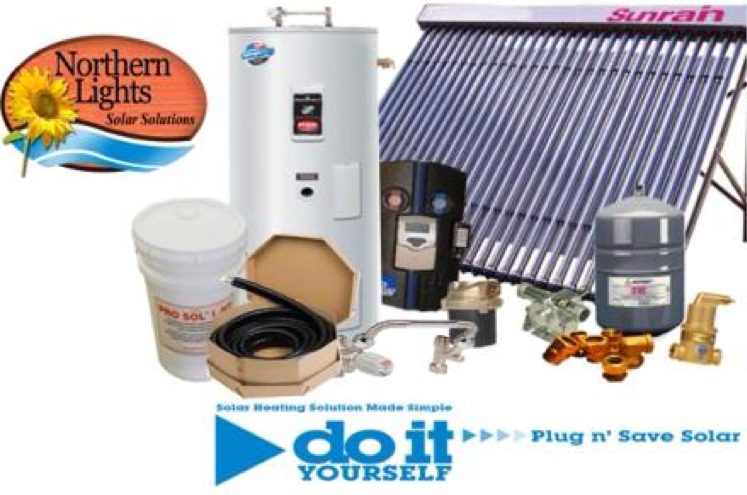 Northern Lights Solar Solutions make the most advanced solar water heating kits on the market.